Meet Mahadhi Walker – a student, worker, and passionate 25 year old. In conjunction with being a full-time student, Mahadhi works as Resident Director at College Suites at Washington Square. He was born in Staten Island, NY and moved upstate when he was ten years old. Mahadhi now calls Schenectady, NY home and is a proud graduate of Schenectady High School, Class of 2008. He is currently finishing his Bachelors at SUNY Delhi in Business Administration with a minor in IT. Mahadhi is unique. That simple yet full-bodied sentence illustrates his character to a T. Similar to someone who “wears their heart on their sleeve,” Mahadhi humbly holds his ardent values close to his heart – his music, faith, and service work. When Mahadhi isn’t preparing for an exam or hard at work, you can find him immersed in music. Mahadhi’s passion for music began when he joined his school choir and picked up the violin. As the years progressed, Mahadhi’s taste in music expanded. He would dissect lyrics of different songs and focused on discovering the meaning of each individual piece. When he noticed his passion went above and beyond solely listening to and interpreting music, Mahadhi began experimenting with recording and producing his own music and writing his own lyrics. Mahadhi currently spends around two hours a day on his music, whether that be discovering new albums he’ll later use for creative inspiration or listening to instrumental pieces on repeat to help generate lyrics. Fortunately for Mahadhi, he has his own home studio so when he is on that musical high, he has the capability to immediately record. 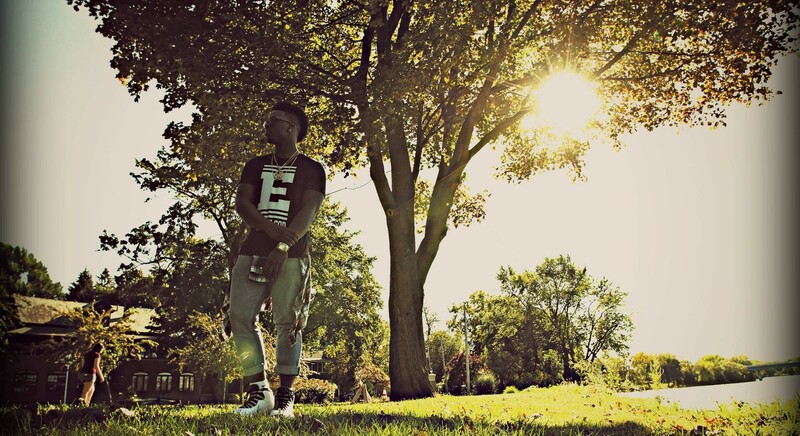 At only 25 years young, Mahadhi will be releasing his debut EP “A Year to Remember” later this month. Mahadhi defines himself as a poet and singer of hip-hop and soul. He writes passionate scripture based on life experiences, emotions, and his faith. His faith, in combination with invaluable life experiences and his upbringing, helps him portray his unique story to diverse audiences through the artistic medium we call music. Faith – one of Mahadhi’s predominant values. His faith is the root of the majority of his music. Mahadhi’s former worship leader, Delray Anges, is a pivotal piece to his musical puzzle. Delray Agnes helped extract the raw talent within Mahadhi and helped fine tune it into a masterpiece. Anges provided Mahadhi with opportunity – Mahadhi has performed with her over ten times for various projects. Most of the projects were musical-based and others highlighted theater. Each experience grew Mahadhi’s confidence and helped develop his professional stage presence in front of large crowds. Mahadhi recalls the significant transformations he went through as a person when he chose to begin following Christ. It started to reconstruct his entire outlook on life, especially how he looked at other people. He became more conscientious of how simply changing your perception of others can help change the world. His relationship with Christ and the on-going self-development with his faith led to Mahadhi making life-changing choices that would better others. Before his love for people and desire to help others became a global adventure, it first emerged domestically within his community. His faith inspired his service work. Mahadhi is a man of service. He began volunteering within his local community, mentoring troubled teens in his neighborhood. He fell in love with helping the youth and the idea of investing in the next generation. Mahadhi’s church takes service trips to less fortunate countries every summer. 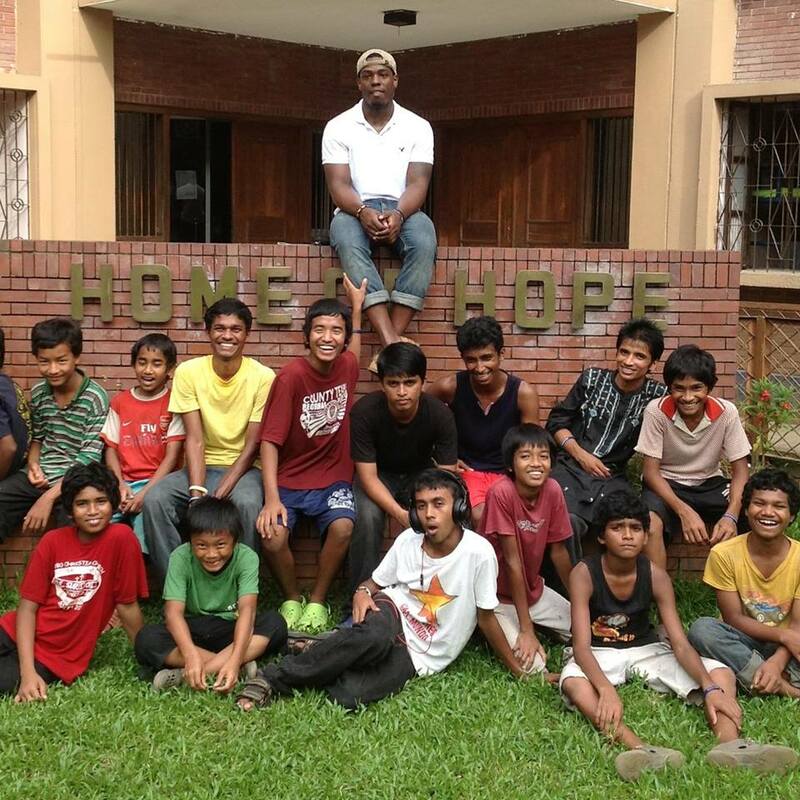 A few years ago he chose to head over to Bangladesh, which helped him expand his philanthropic footprint. Over the past decade, his church has formed and fostered a strong relationship with an orphanage in Bangladesh called “Home of Hope.” During their time at “Home of Hope,” the volunteers encourage the children to strengthen their faith and relationship with Christ and guide them through the hardships that come alongside poverty. Mahadhi is a figure of hope and life to these children who battle daily adversities. Mahadhi has a group of seven boys that he connects with daily while overseas. Together, they play games, make art and crafts, and have fun. Not only does Mahadhi and his fellowship help with the children, but also the people who oversee the daily operations at the orphanage. They provide them with training and teachings that help better the care provided to the orphans. “As a whole, I really feel like I have been called to be there. I’ve grown to love not only the children, but also the county.” Mahadhi plans on heading back to Bangladesh this summer for his fourth consecutive trip. Mahadhi identifies with music in such an eloquent way – “I love how music moves you and creates a soundtrack representing eras throughout one’s life. Making music is the best way for me to express my feelings and has become a platform for me to connect with others who may have gone through similar experiences.” He hopes to be pursuing his music full-time within the next five years, while exploring other artistic avenues, such as fashion, photography, and modeling. Want to learn more about United Group? Visit www.ugoc.com.